Tickets for fixtures will be ready for collection on the day of the match from 2.5 hours prior to kick off. Please bring photographic ID (passport/ driving licence) to the Hospitality Window within the ticket office when collecting match tickets. 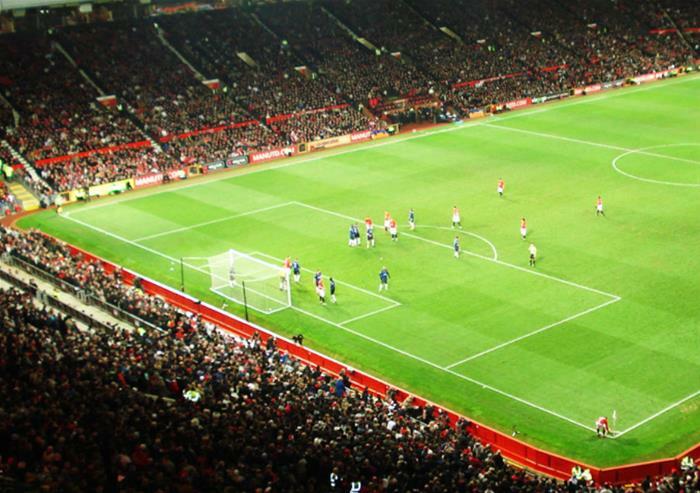 Visit the historic Old Trafford Stadium in Manchester and watch Manchester United play an exhilarating football game! You’ll see skilled players competing against another top team in the stadium known as the ‘Theatre of Dreams’ due to its illustrious football past. Old Trafford has been the location for many momentous football games, including FA Cup semi-finals, 1966 World Cup games and matches during the 2012 Summer Olympics. Choose from seats located in the North West Executive Quadrant or North East Executive Quadrant benefitting from a dedicated stadium entrance. On arriving at Old Trafford, you will receive a match program full of information about the upcoming match and Manchester United FC. You can visit the Kit Room lounge before the game if you wish and enjoy a drink or snack (not included). Take your seat and see the players emerge from the tunnel to excited cheering. Thousands of football fans will be in the spirit of the game, all willing on their team to win! Watch the players skilfully pass, shoot and tackle as the match gets underway. You’ll be on your feet as the tension builds and the team tries to put the ball in the back of the net! Once the match is over, exit the stadium with the rest of the spectators and take your program away with you as a momentum from your day. 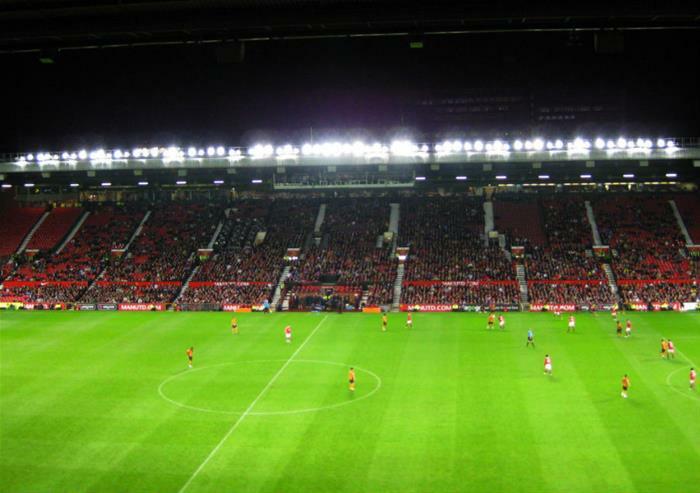 Feel the rip-roaring excitement of the game in the Sir Alex Ferguson stand, overlooking the famous Stretford End stand. With fantastic views of the pitch and padded seats for extra comfort, you’ll be in the perfect position to watch the Red Devils blaze home some first-class goals! 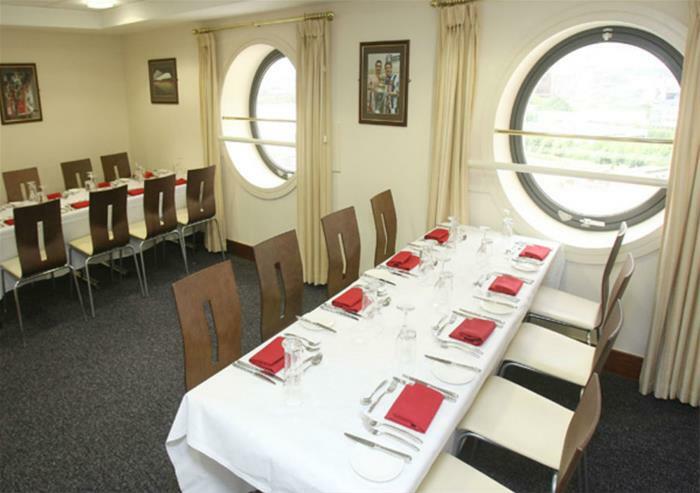 To enhance your experience after the game, you’ll be greeted with a champagne reception on arrival in the Red Cafe and get to enjoy a delicious two or three course meal depending on match selection. To accompany your meal (and quench your thirst after all the cheering), you’ll get to enjoy complimentary drinks including beer, wine and soft drinks. As if this wasn’t enough, you’ll get the opportunity to have a question and answer session with a former Manchester United player and receive a complimentary match day programme and gift! A truly unforgettable experience that can’t be missed! Tickets must be collected from the National Football Museum, access via the Cafe Football entrance. Tickets can be collected from 10am to 5pm Monday to Sunday, every match. Please note The National Football Museum is closed 24th, 25th and 26th December and 1st January with no access to collect tickets. Please bring photographic ID (passport/driving licence) when collecting match tickets.